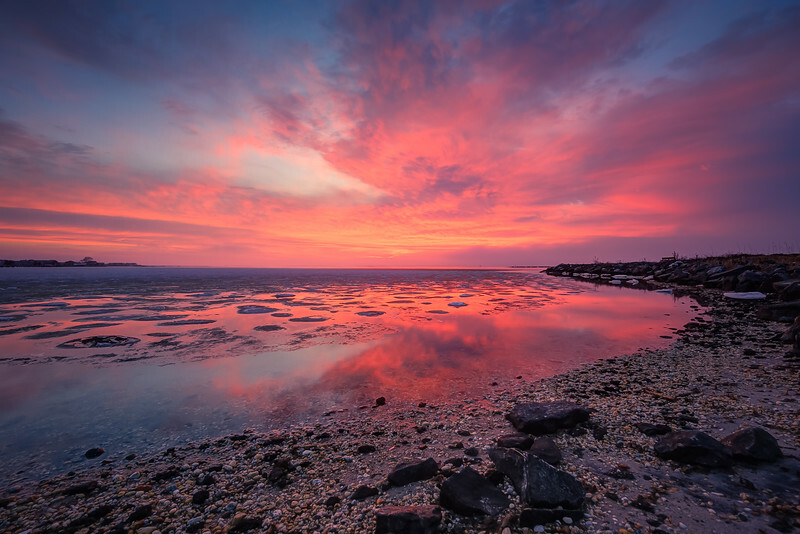 HDR photograph of a fiery sunset mirrored over the reflective water along Great Bay Boulevard. 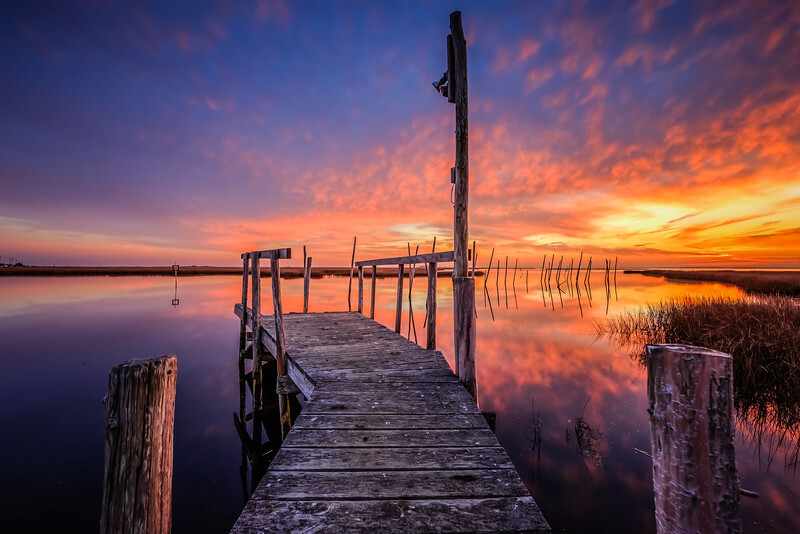 HDR photograph of an abandoned dock set afire by intense sunset color. 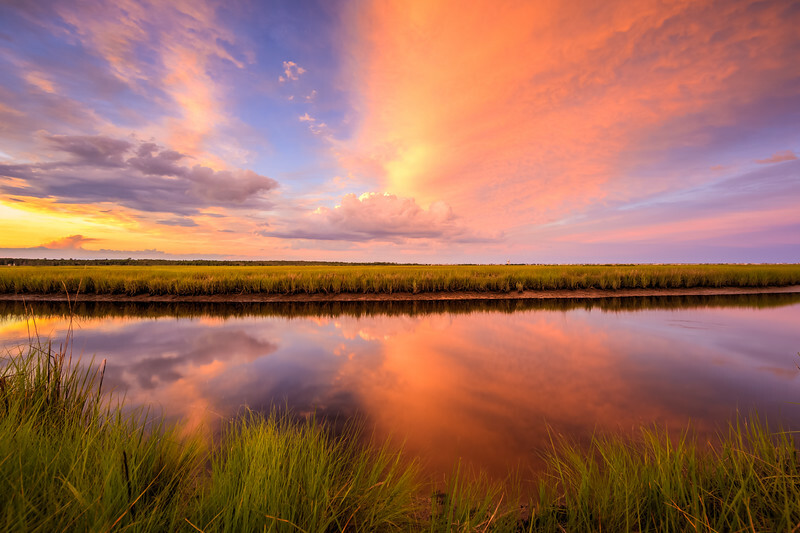 A fiery sunset ignites revealing a stunning marsh reflection off the tributary waters of Cedar Run. 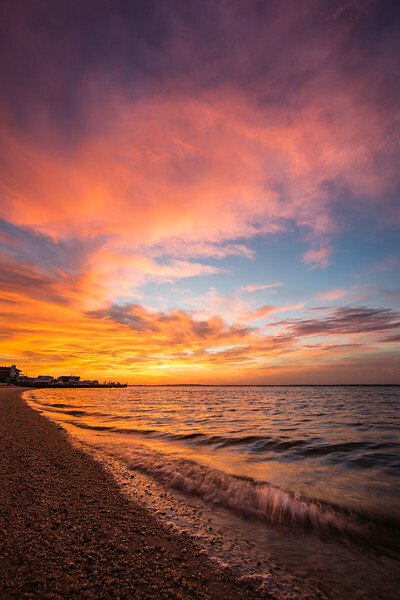 Sunset photograph of dramatic clouds painted in fiery pastels left behind after storms rolled through Long Beach Island. 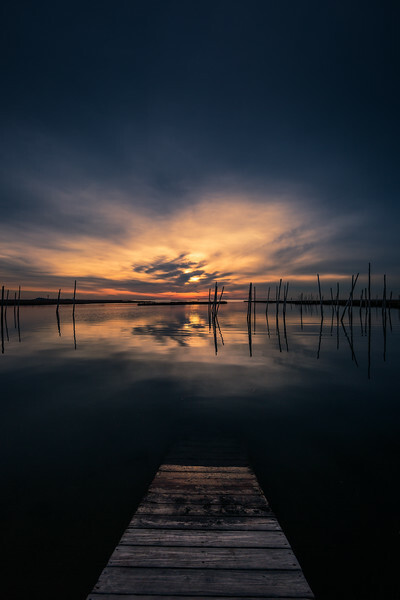 Low key photograph depicts a lone ramp descending into the nothingness of abandoned marina waters. 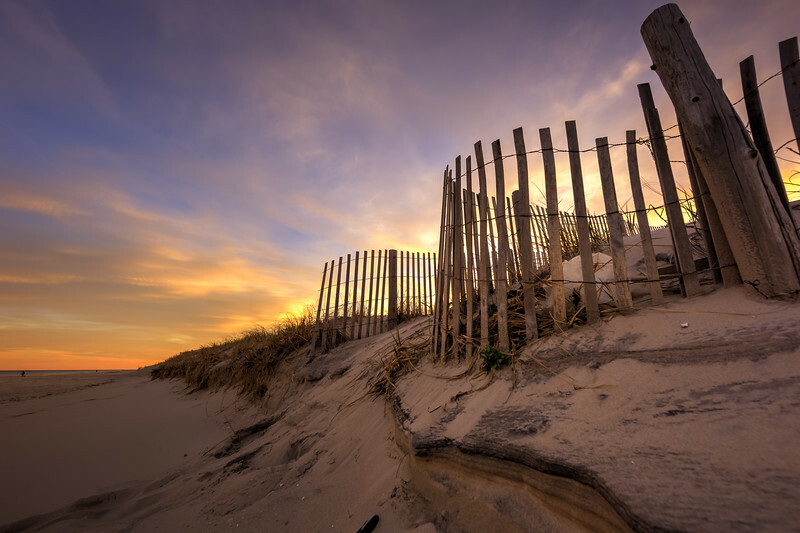 A Golden sunset backlights a section of sand dune lined with meandering sand fence. 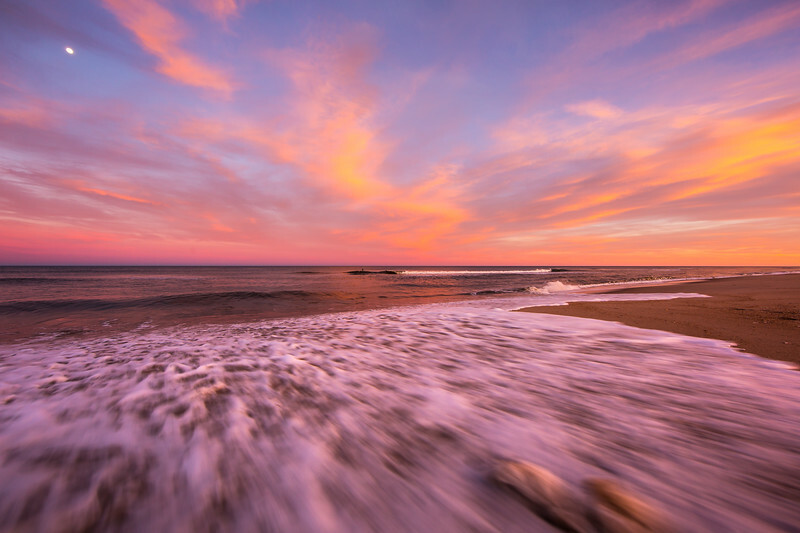 A pastel sunset sprawling over rushing ocean wash from the Atlantic. 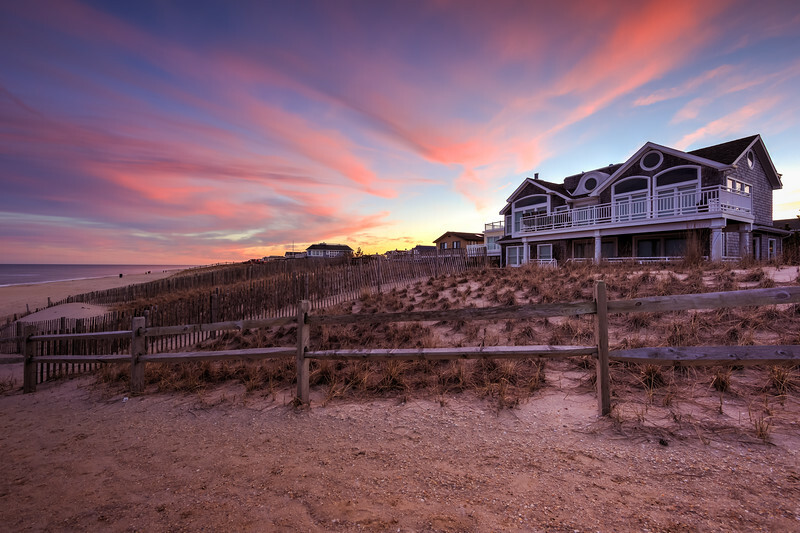 A pastel sunset settles in backlighting a quiet stretch of LBI beachfront property. 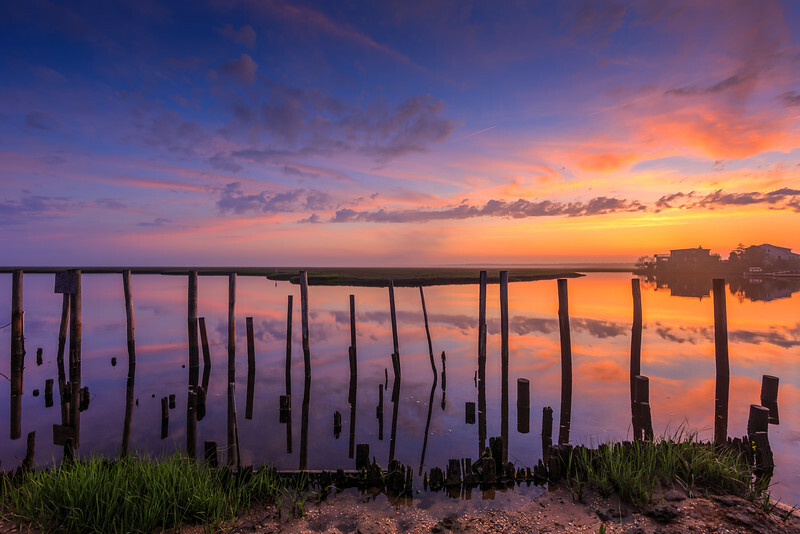 HDR sunset photograph looking sublime over the Cedar Run Dock Road salt marsh. 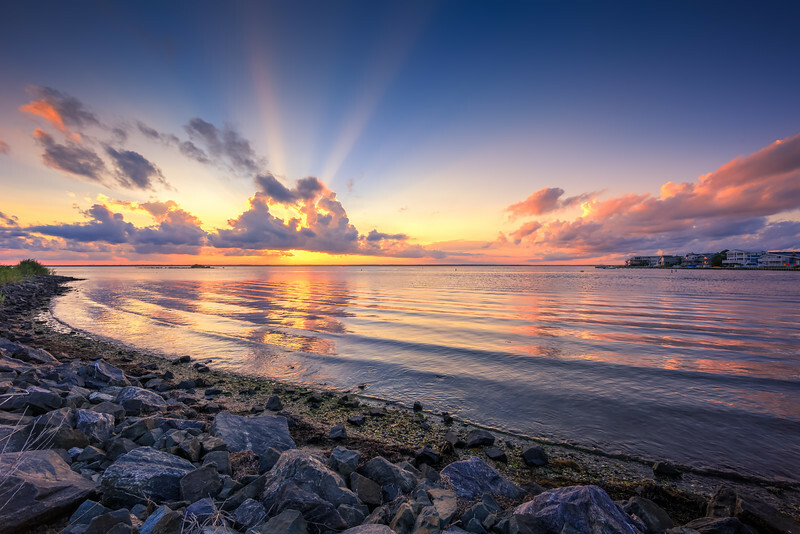 Beaming crepuscular rays cross the sunset sky in this landscape HDR photograph from Long Beach Island's Harvey Cedars Sunset Park. 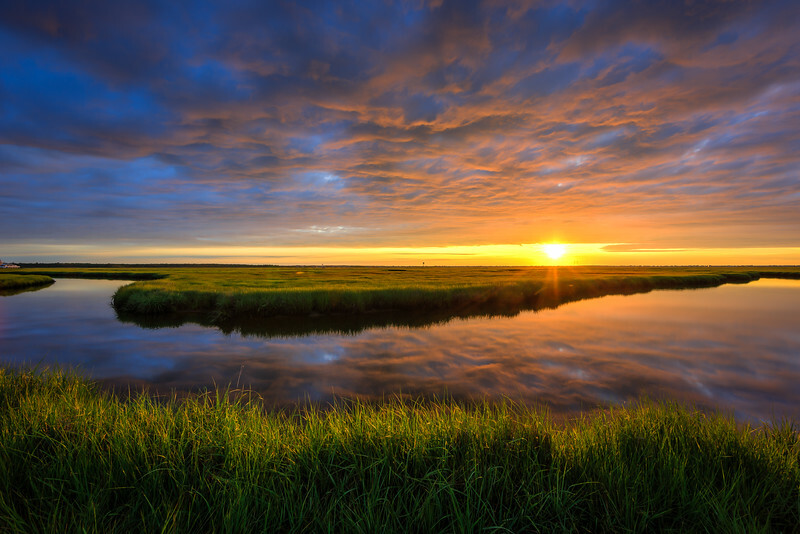 Cloud drama and a fierce orange glow set the stage for this HDR photograph, capturing a mid June sunrise over the lush green marsh of Cedar Run Dock Road. 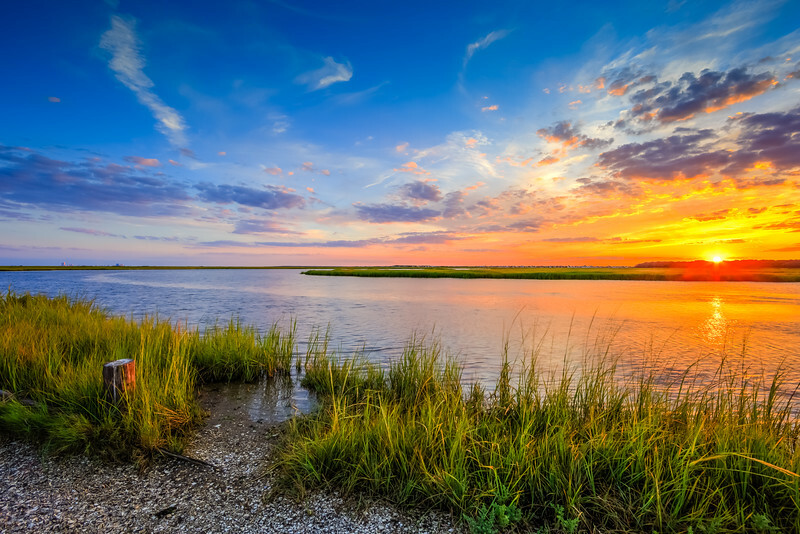 HDR photograph of a summer sunset over marsh and estuary. 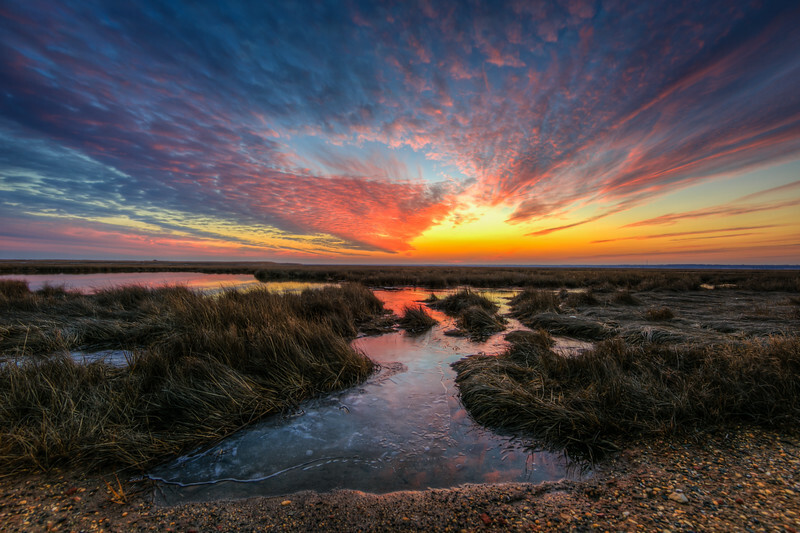 An explosive sunset unfolds over the salt marsh. 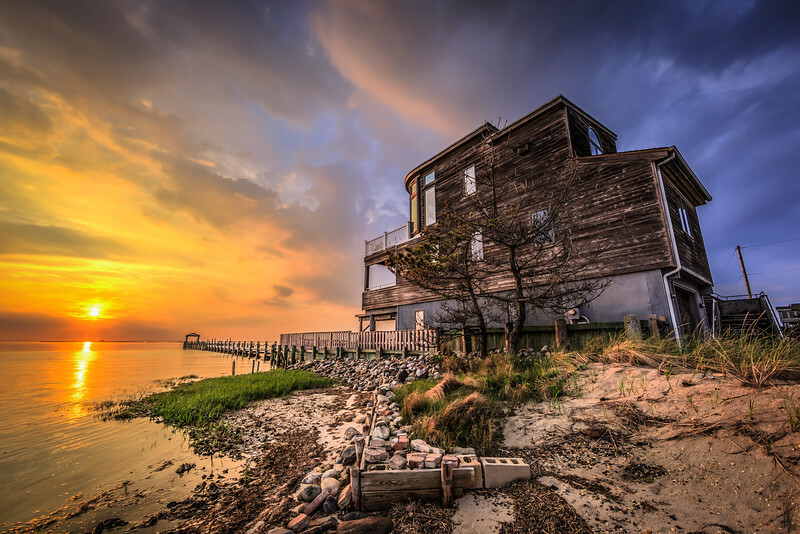 A lone house and calm, reflective water looks on. 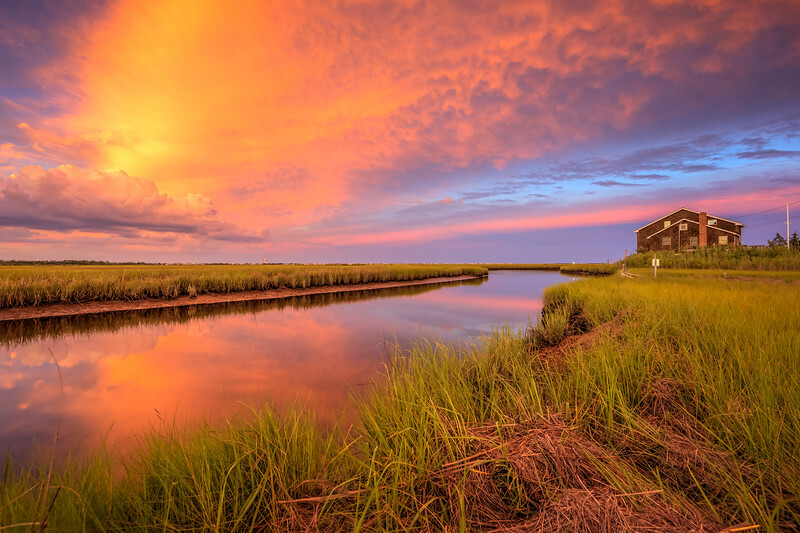 A fiery sunset ignites over salt marsh and reflective water. 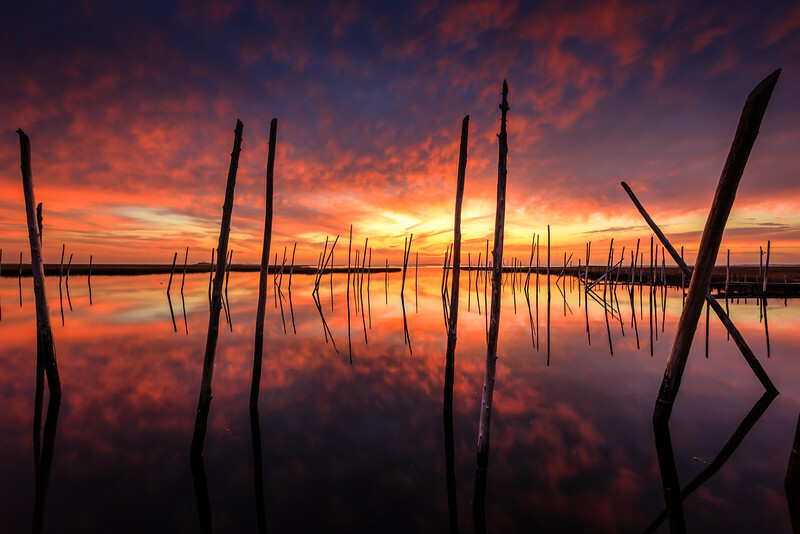 Sunset photograph of layered pastel clouds, wood pilings, and a smooth water reflection. 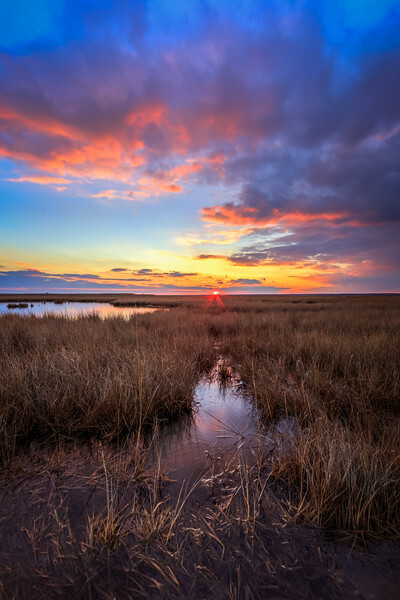 Sunset falls upon the winter marsh. 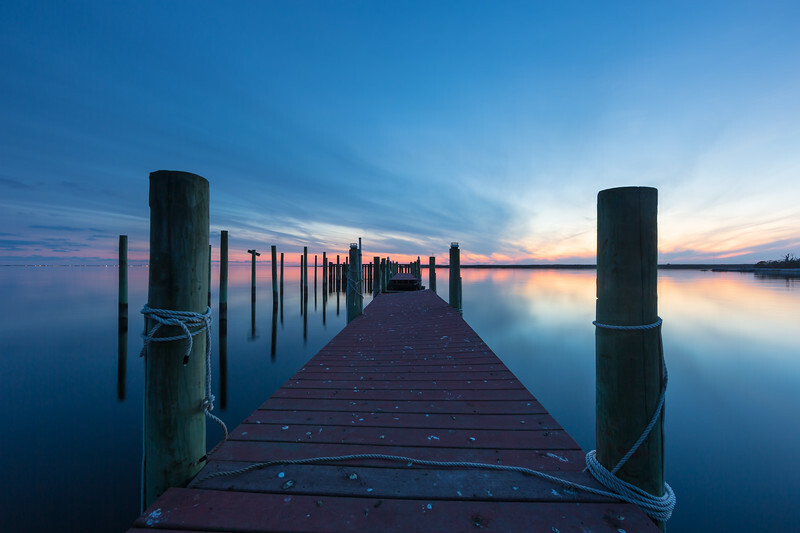 Wide angle photograph made at blue hour featuring weathered boat dock and reflective water. 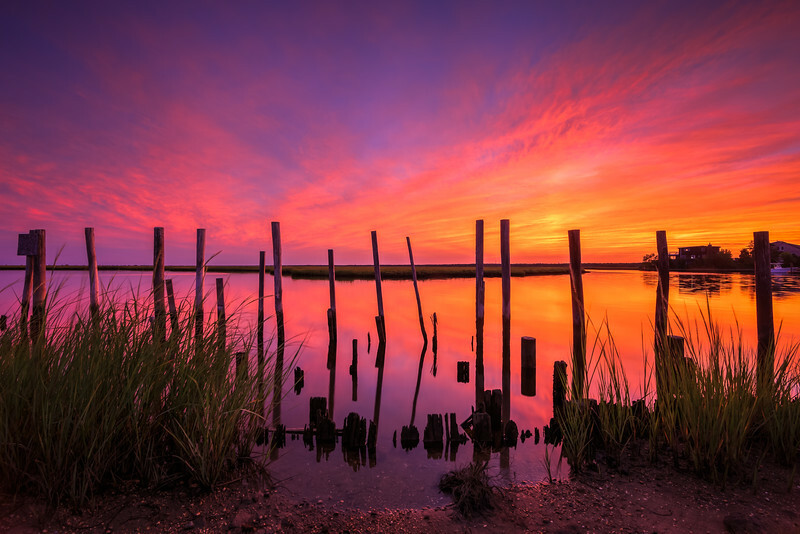 A pink and purple sunset fires over the salt marsh. 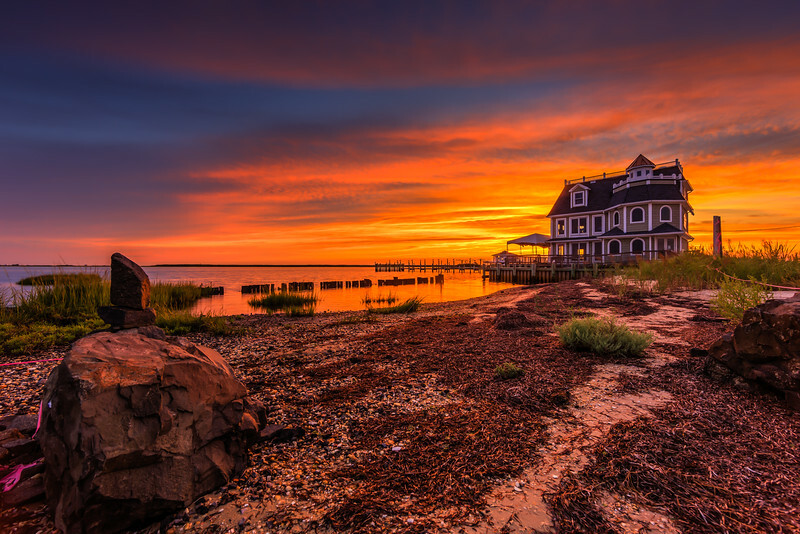 Fiery sunset photograph of explosive cloud color over Barnegat Bay as gentle waves lap ashore. 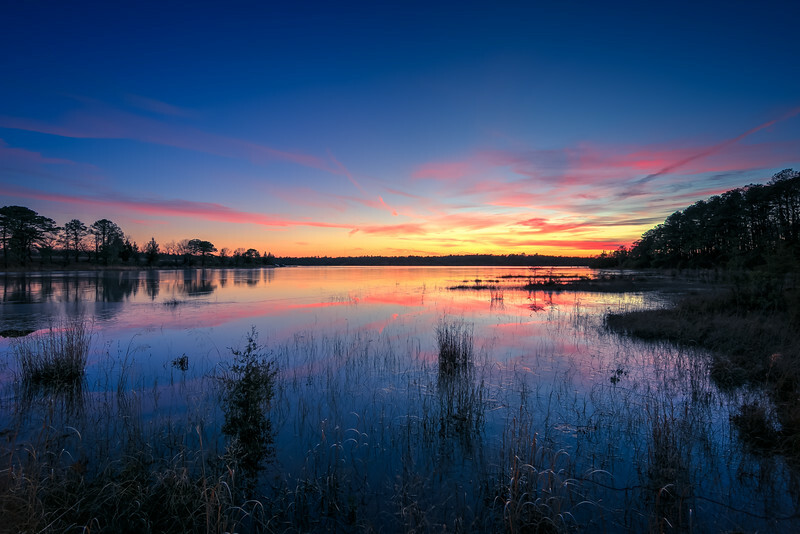 Wide angle HDR photograph of a vibrant golden hour pouring in over the Cedar Run Dock Road marsh. 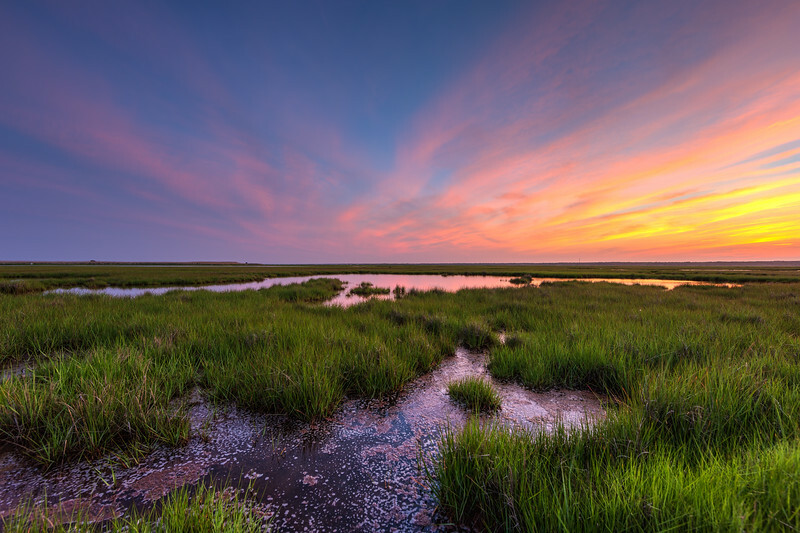 Pastel colors at sunset over a lush salt marsh. 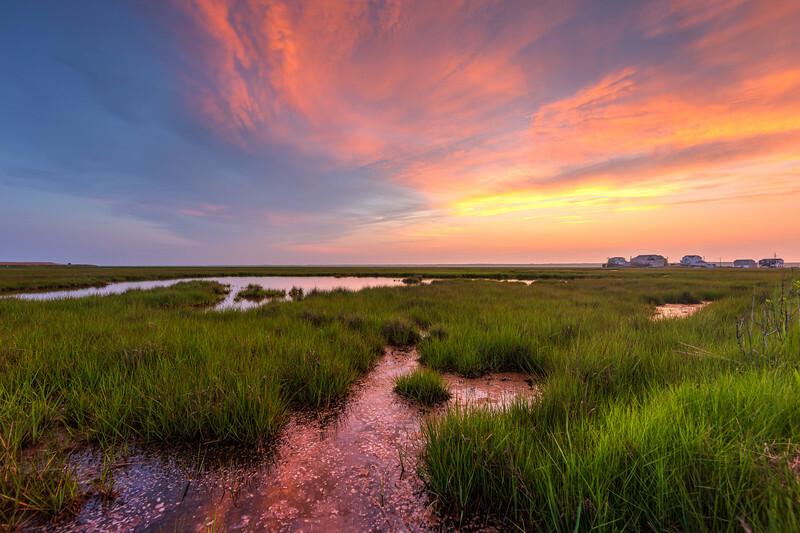 The salt marsh is alight in pink pastels as an early June sunset burns over lush green marsh. 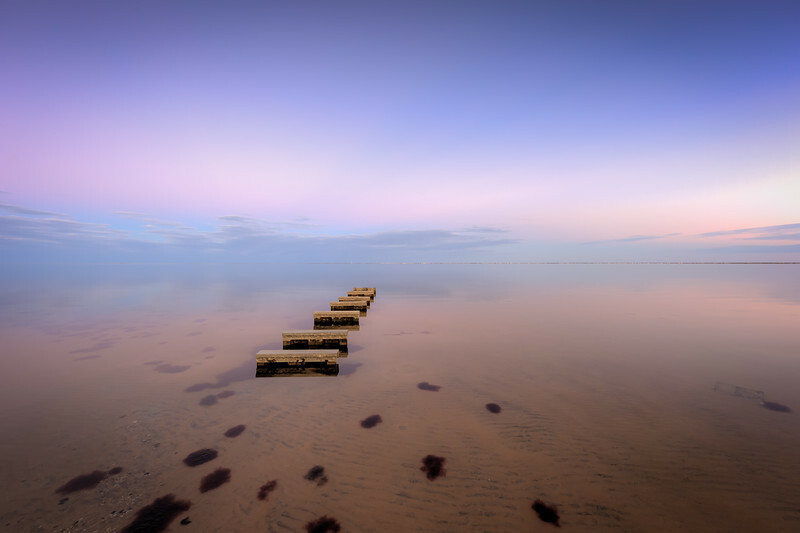 Sky and horizon merge while shallow tides of Barnegat Bay expose the remains of a small manmade jetty in this blue hour photograph. 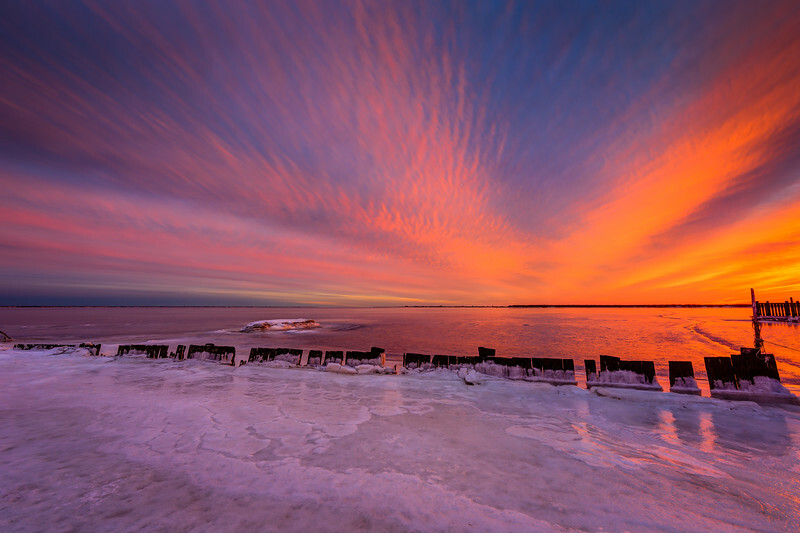 Explosive wide angle sunset photo made over disused docks and frozen bay water. 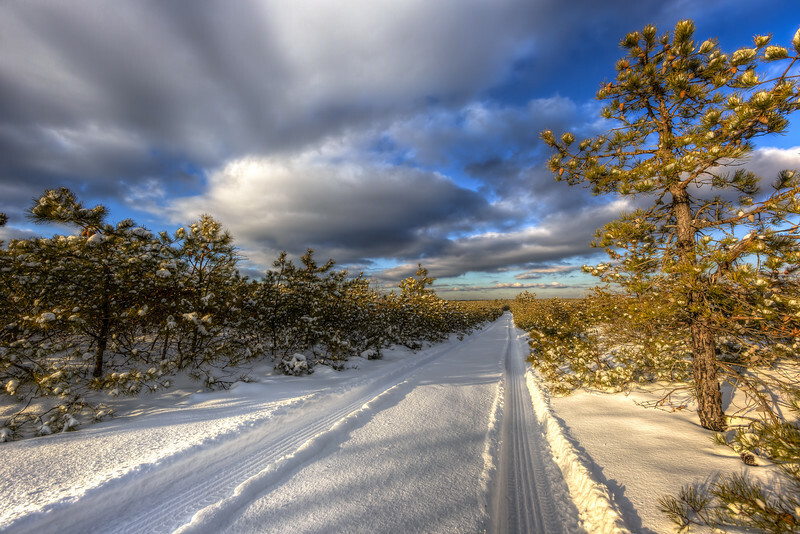 High key landscape photography of fresh fallen snow under sunlight in the New Jersey Pinelands. 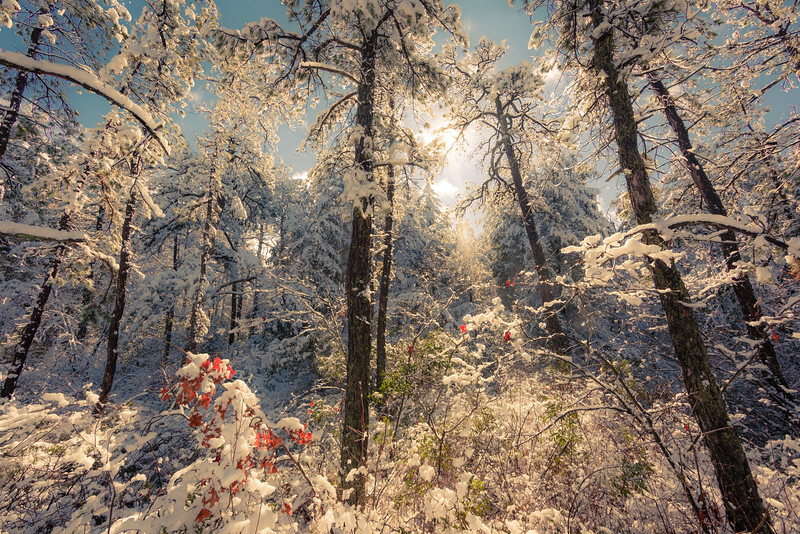 Snow, sun and pines come together in one serendipitous moment in the New Jersey Pinelands. 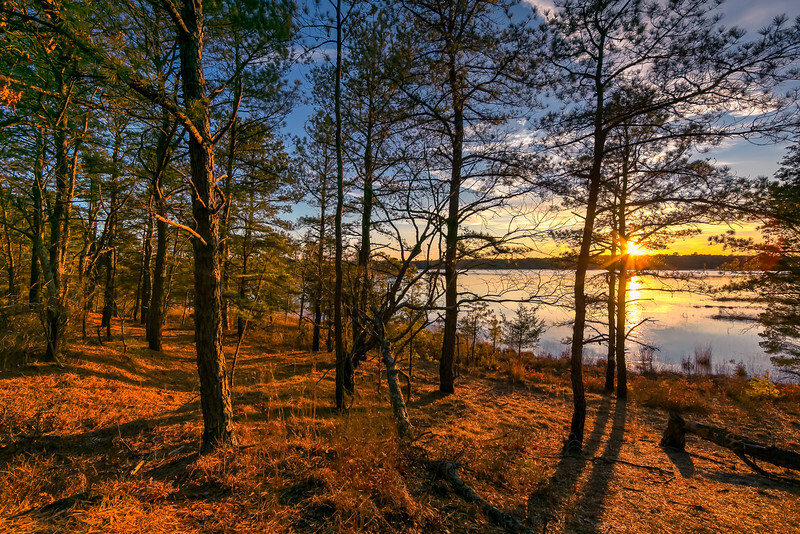 New Jersey Pinelands' Pygmy Pines during golden hour. 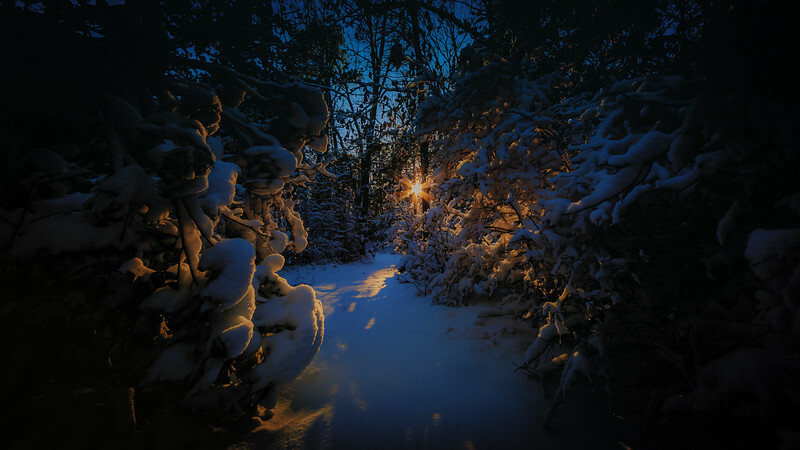 A photograph of late day sunlight pierces a snow covered wooded trail meandering through the thicket. 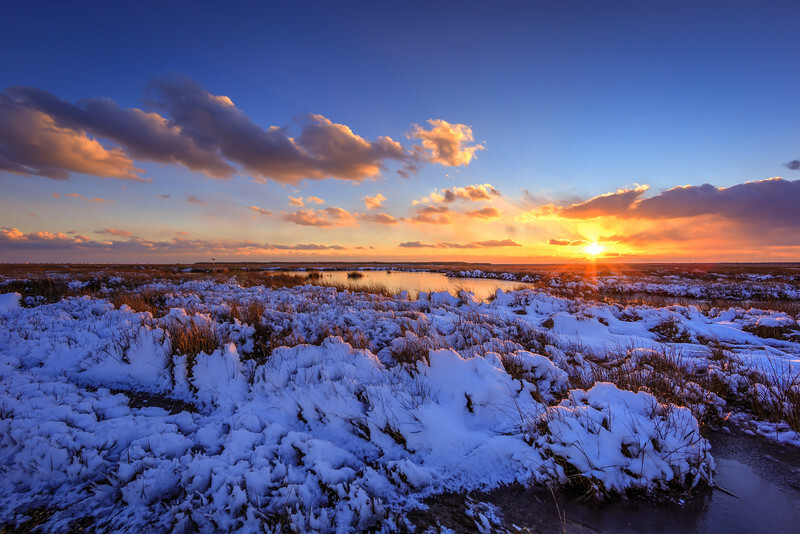 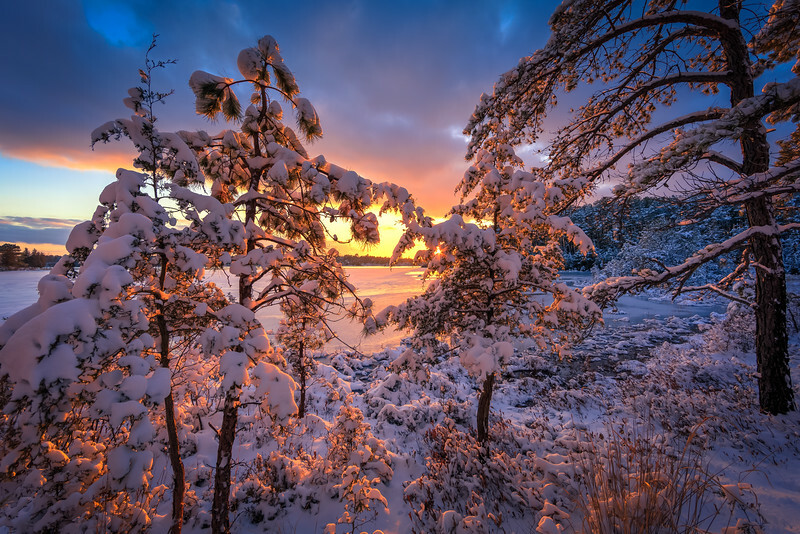 Landscape photograph of a snowy mid-Atlantic salt marsh at sunset. 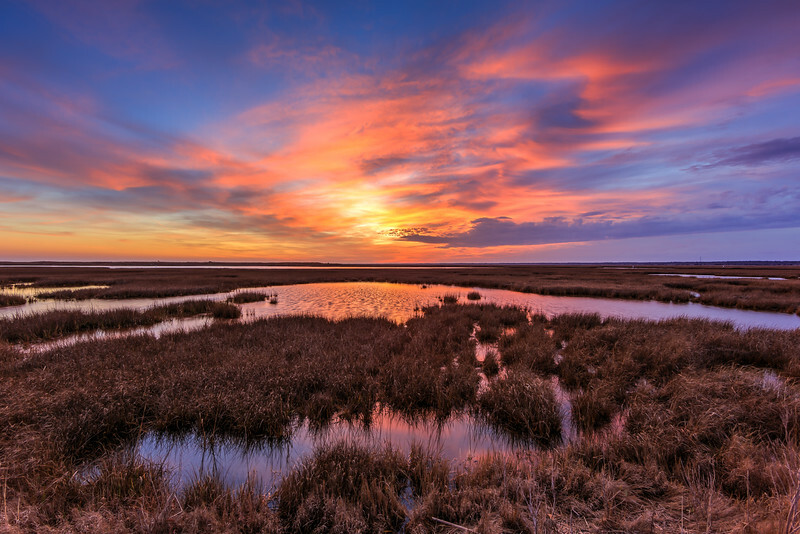 HDR landscape photograph of dramatic clouds and pastel colors at sunset over the marsh of Dock Road. 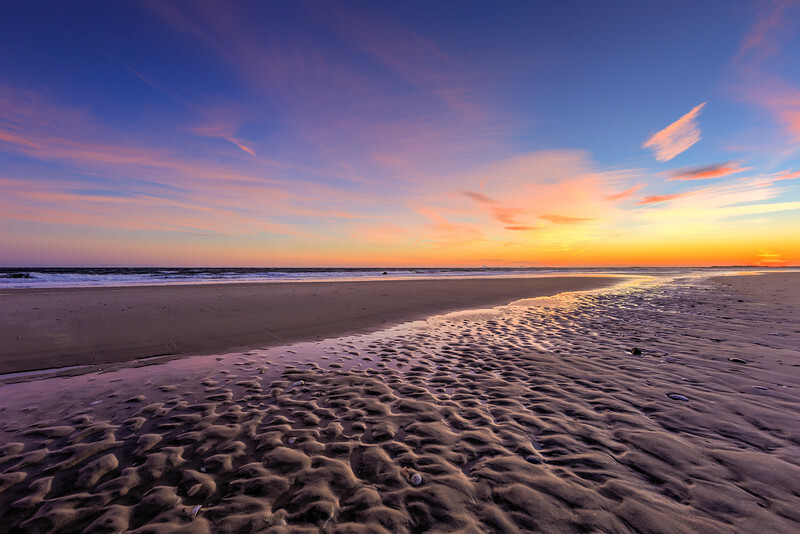 Landscape HDR photograph highlighting the picturesque beaches of Holgate, NJ. 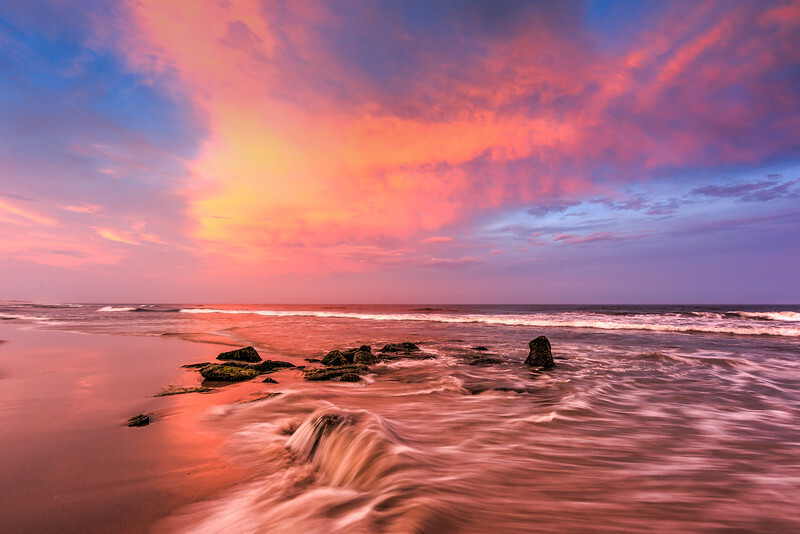 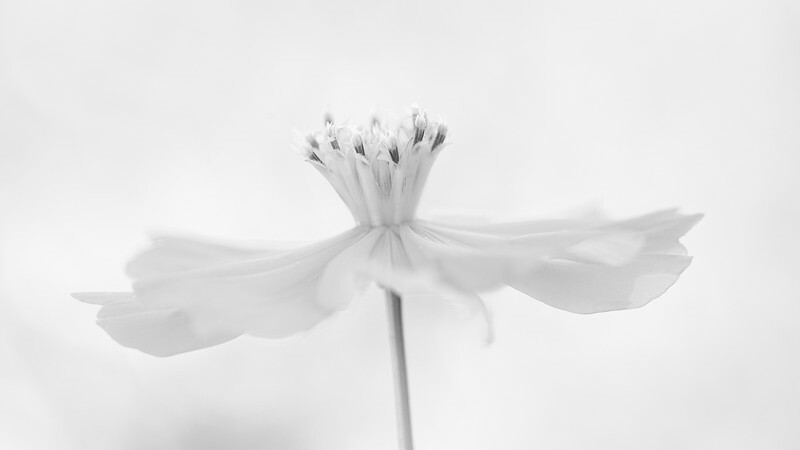 Seen here glowing richly at sunset under pastel colors. 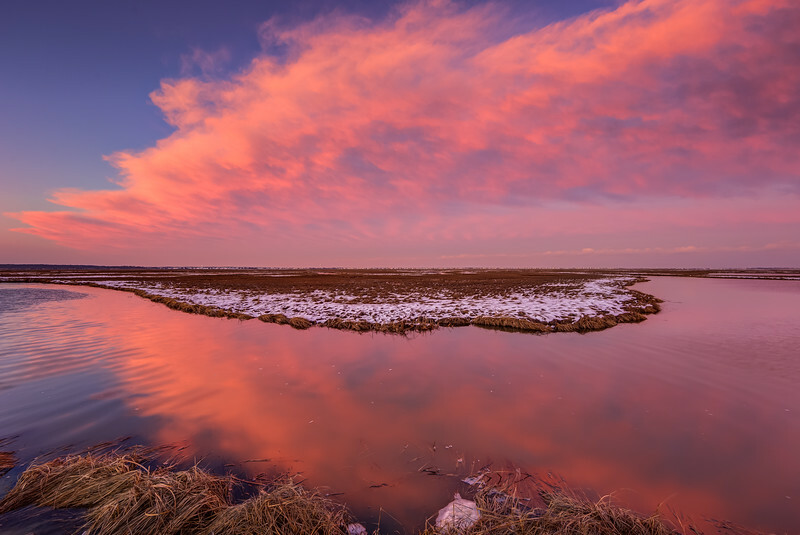 Deep pastels color sky and clouds just before sundown along a cold marsh. 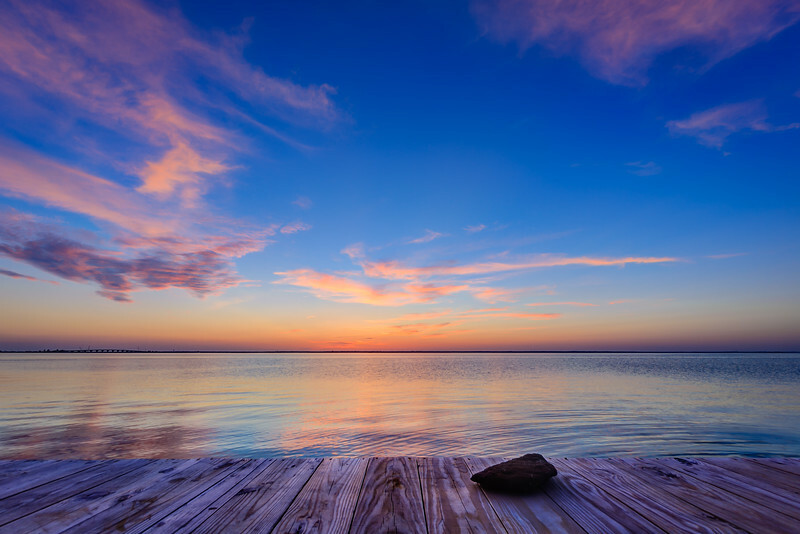 A peaceful Barnegat Bay at sunset. 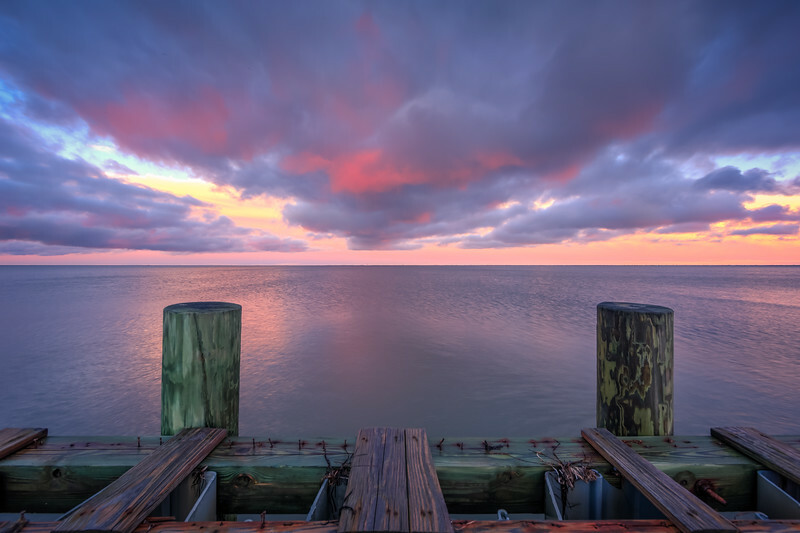 Sunset photograph overlooking Barnegat Bay and a decrepit bulkhead. 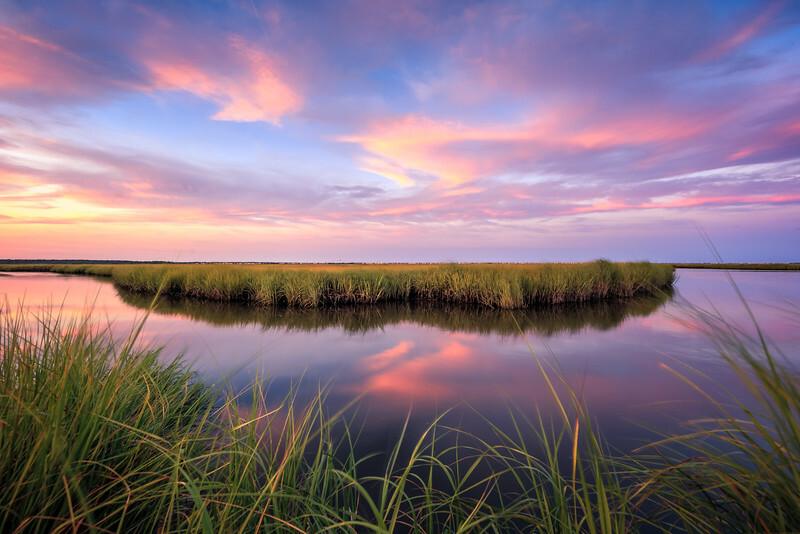 Landscape photograph of pastel clouds over the Dock Road marsh at sunset. 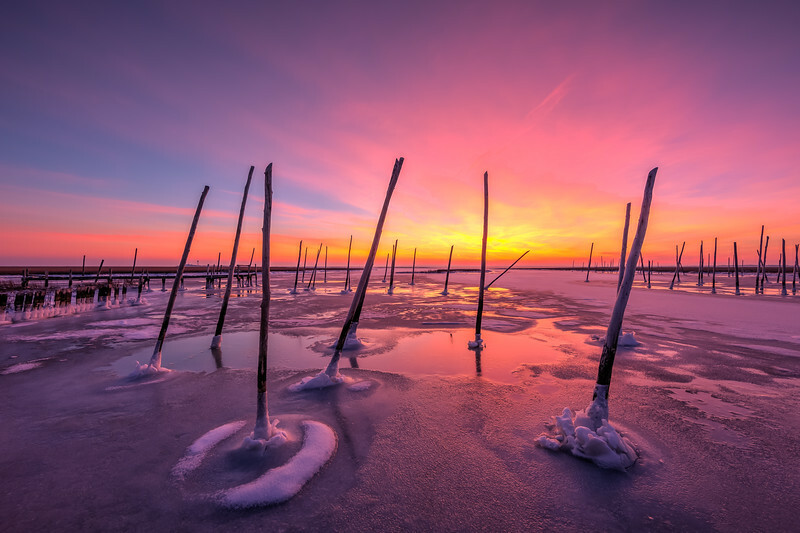 Fiery sunset colors come to bear in the face of arctic cold and a frozen Barnegat Bay. 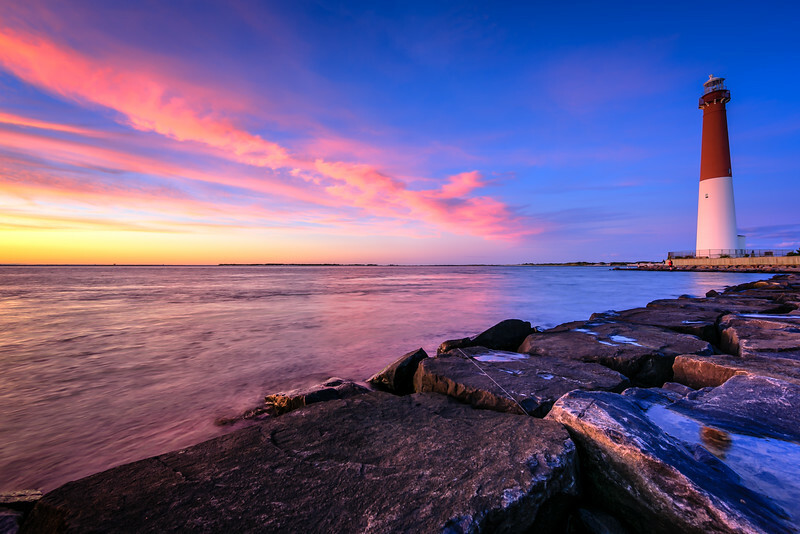 The sky glows pink just after sunset at Barnegat Lighthouse. 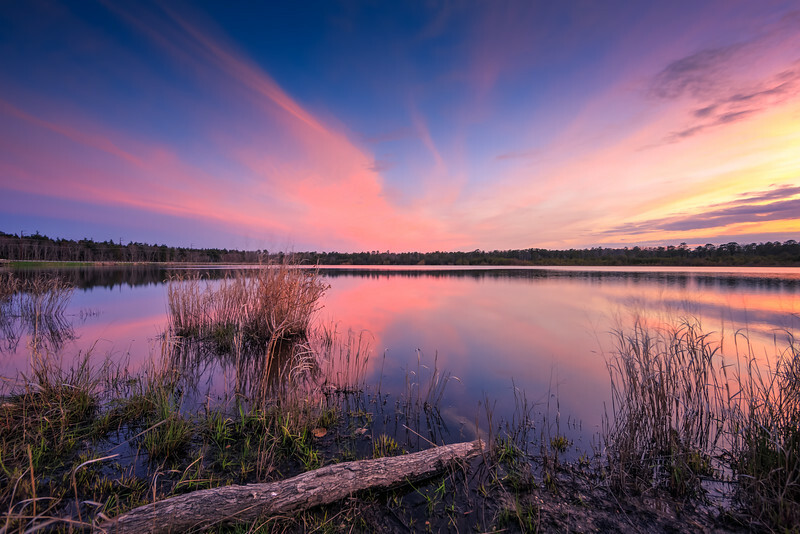 Just after sunset the entire sky ignites in pastel blue, pink and yellow in this enchanting HDR photograph taken over a calm lake at Stafford Forge Wildlife Management Area. 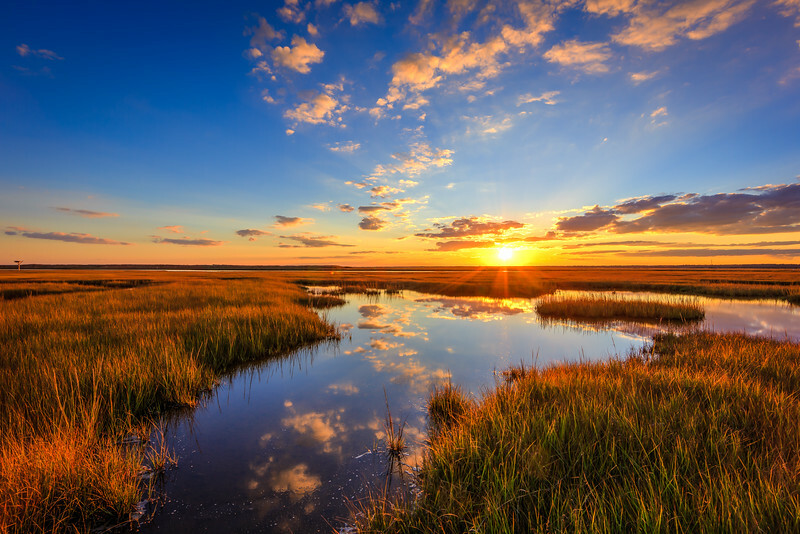 A stunning golden hour pours over Stafford Forge in New Jersey's Pinelands. 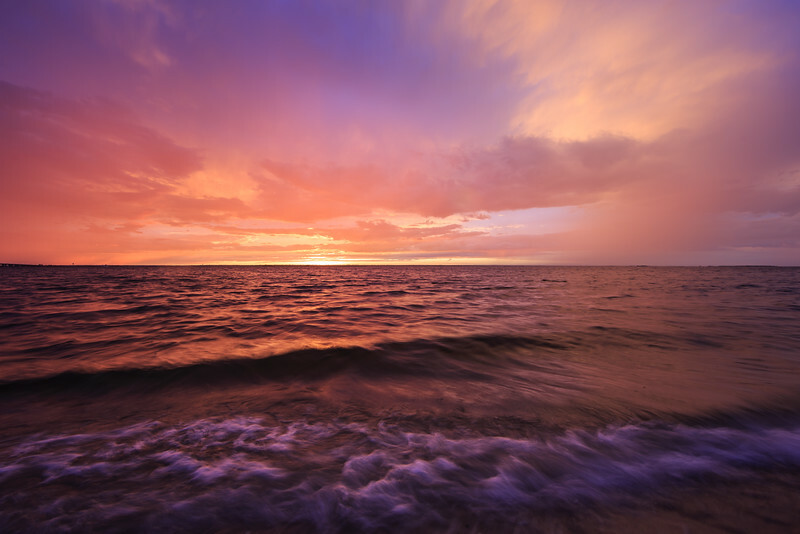 One of the most dramatic sunsets I've had the fortune to witness. 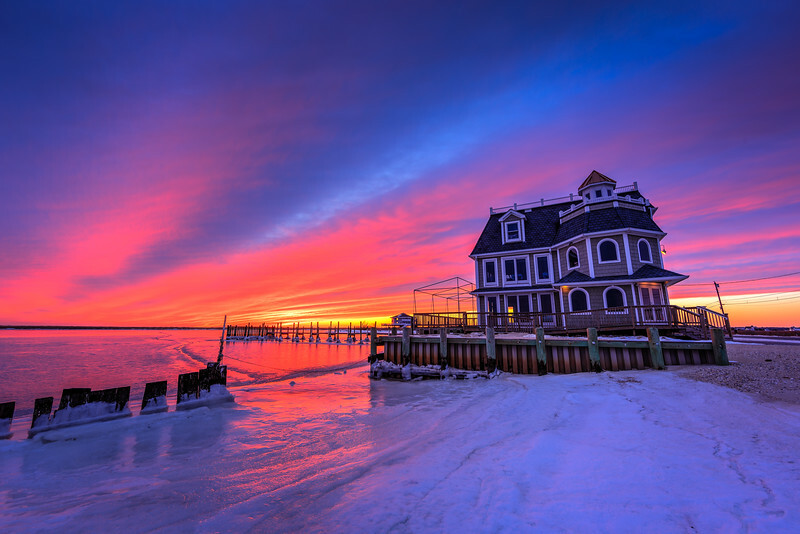 As seen from Harvey Cedars Sunset Park. 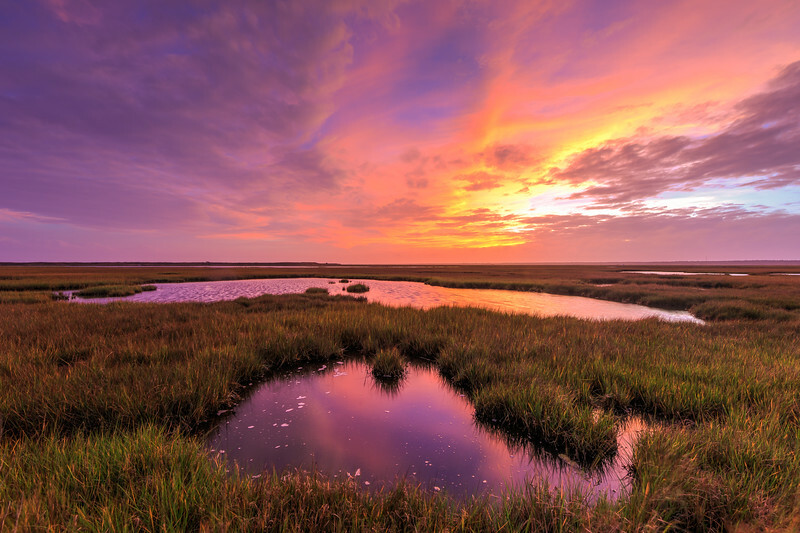 Summer shows itself in full color regalia in this wide angle HDR photograph made just after sunset overlooking the lush green marsh of Cedar Run Dock Road. 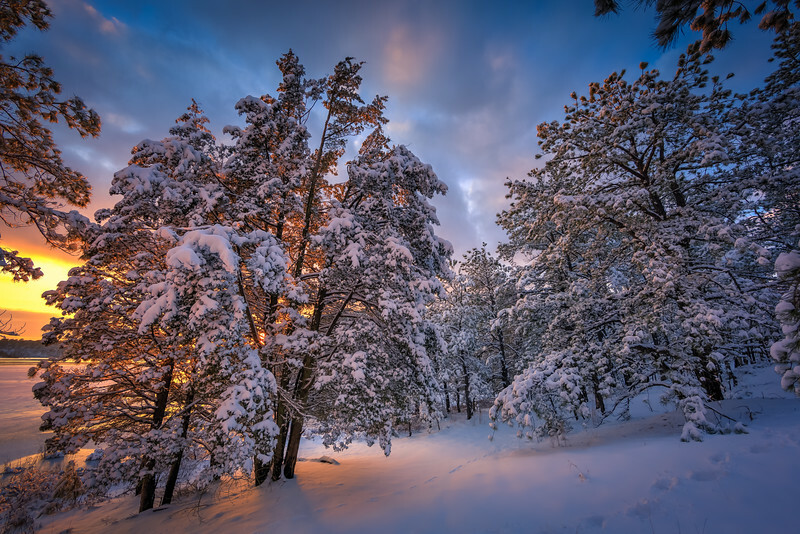 Blue hour doing its thing at Stafford Forge. 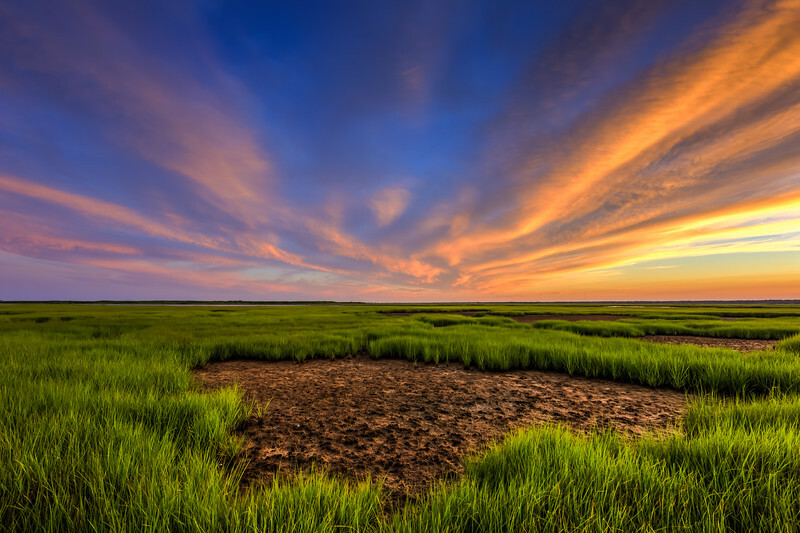 Sunset photograph depicting a foreground of stacked stones and dead eelgrass at Antoinetta's Waterfront Restaurant.